Our eyes are a delicate feature we depend on to navigate through this amazing world we live in. When our sight is affected by parasites known as amoeba, Acanthamoeba keratitis symptoms set in and can lead to permanent blindness. 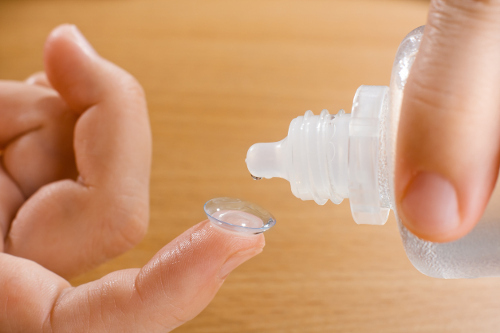 This infection is common with contact lens users, and early Acanthamoeba keratitis treatment is key in preventing complications. We will study the risks and the Acanthamoeba keratitis causes. To understand the condition, let’s break down the terminology behind the infection. Acanthamoebas are microscopic, single-celled living organisms found in water, the ground, and in the air. Keratitis refers to an infection of the cornea, which is the transparent layer of the front of the eye. This area of the eye can also be affected by bacterial keratitis or fungal keratitis. Acanthamoeba keratitis may be present after an injury or trauma to the eye occurs. It is a localized infection and does not spread to other parts of the body. Acanthamoeba keratitis can be caused by different species of amoeba as they are found in natural and treated water sources, in the soil, and in dust that floats through the air. The reason this condition is rare among the general population with the parasites surrounding us is due to the natural antibodies we have to fight such invaders. Acanthamoeba keratitis affects a greater cluster of contact lens users due to the high risk of trauma to the eye with constant physical contact with the eye. Trauma and injury can easily happen. It can happen to even those with the most cautious use of contact lens. Acanthamoeba keratitis can often be mistaken for a viral keratitis such as viral conjunctivitis, or pink eye. These two eye infections can present similar symptoms with very different outcomes. While pink eye can resolve on its own, Acanthamoeba keratitis requires immediate treatment to prevent serious complications such as blindness. Everyone should take precautions when it comes to their eyes, whether you wear contact lenses or not. Throughout the day, we constantly put our eyes at risk for trauma or infection by washing our eyes, rubbing tired eyes, and applying eye makeup. Acanthamoeba keratitis can be prevented with proper eye and hand hygiene. Early detection is key to preventing serious complications of Acanthamoeba keratitis such as blindness. Severe cases may require a transplant of the cornea to treat corneal ulceration or vision loss. However, most Acanthamoeba keratitis conditions can be treated with topical applications of antimicrobial medication. Acanthamoeba keratitis sounds worse than it is but does warrant early detection and treatment. This infection can happen to anyone as the parasite responsible can be present in any water source, the ground we walk upon, and even in the air we breathe. It may be a rare condition but is common among those with a higher risk of trauma or injury to the eye such as with contact lens users. The symptoms mimic eye infections that are more of a mild concern. Acanthamoeba keratitis requires early detection to prevent permanent damage such as blindness. https://www.allaboutvision.com/contacts/acanthamoeba-keratitis.htm, last accessed June 2, 2017. “Acanthamoeba Keratitis FAQs,” Centers for Diseases Control and Prevention; https://www.cdc.gov/parasites/acanthamoeba/gen_info/acanthamoeba_keratitis.html, last accessed June 2, 2017.